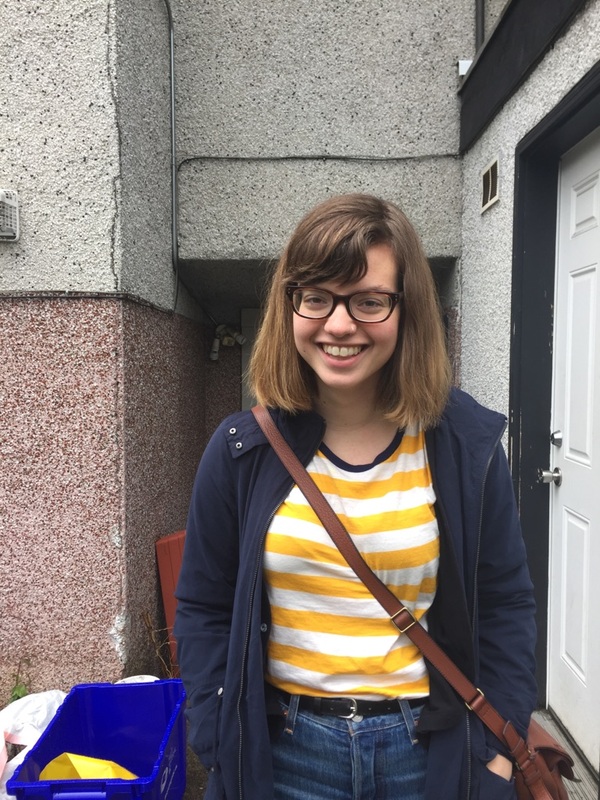 Kayla Czaga grew up in Kitimat, British Columbia and now lives in Vancouver, where she earned her MFA in Creative Writing at UBC. Her poetry, nonfiction and fiction has been published in The Walrus, The Puritan, Room Magazine, Event and The Antigonish Review, among others, and she has twice been selected for inclusion in the Best Canadian Poetry in English anthology series. She is the author of the chapbook Enemy of the People from Anstruther Press, and the full-length collection For Your Safety Please Hold On, which won the Gerald Lampert Memorial Award and the Canadian Author’s Association Emerging Writer Award, and was nominated for the Governor General’s Award and the Dorothy Livesay Poetry Prize, among others. She serves beer at “possibly the nerdiest bar in Canada,” according to the National Post. Can you tell me about the first poem you ever wrote? What was it about? What led you to write it? I wrote my first poem at age ten, after finishing A Ring Of Endless Light by Madeline L’Engle, a YA coming of age novel. I closed the book and had the weird sense of needing to write a poem, like there was a poem trapped inside of me trying to get out. I guess it was my first experience of “inspiration.” The poem was long, awful, written in rhyming couplets and was about these jeans I really liked, my cat, and cinnamon buns. When I was still a pre-teen, my mom brought home Trickster’s Choice, then the latest of Tamora Pierce’s novels. I devoured this book, and quickly followed it with Pierce’s first two quartets. Then came her third, the Protector of the Small. These four books starred Keladry of Mindelan – sturdy, caring, and special only in the stubborn pursuit of her goals – a character more like me than any I’d ever before encountered. It was largely because of this series that I decided to become a writer myself. 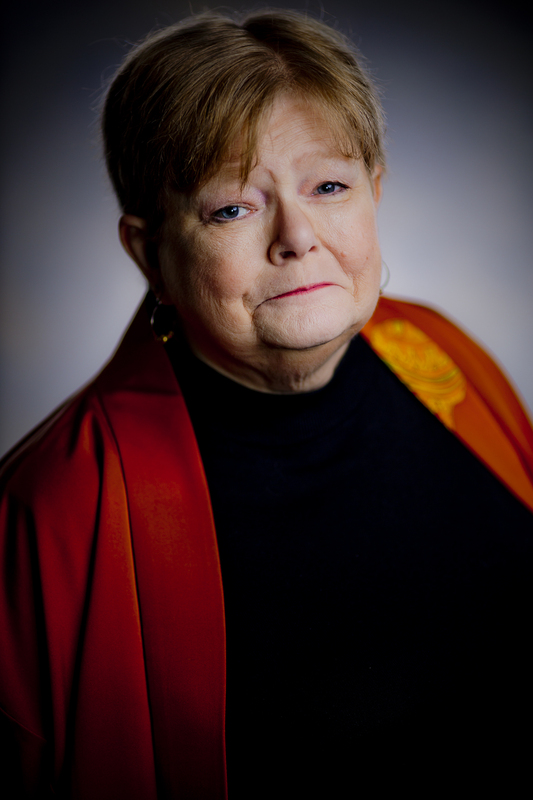 Tamora Pierce has published short stories, essays, radio plays, comics, and over 28 young adult novels. She has also won the 2005 Skylark Edward E. Smith Memorial Award for Imaginative Fiction, the 2013 RT Book Reviews Career Achievement Award, and the 2013 Margaret A. Edwards Award for Lifetime Achievement in Young Adult Literature. Pierce is currently working on Tortall: A Spy’s Guide, which will be release in October of 2017, and the first in the Tempests and Slaughter trilogy, out in the Spring of 2018. Here she offers insight into her fabulous female heroines, and gives advice for both young writers and young readers. Pierce can be found on Facebook, Twitter, and at www.tamorapierce.com. One of the aspects of your work that always stands out to me is your continuous use of female protagonists, and the wide variety of these female characters. What inspired this aspect of your novels, and has this added any difficulties to your career? No, it hasn’t added any difficulties. There were very few female heroes around when I was a kid. Mostly in YA historicals, and Edgar Rice Burroughs wrote very strong female characters, but when you got through those, that was pretty much it. The rest of the girls I found stayed at home, cheered for the guys, helped with their homework. When I got to fantasy, there were three female heroes, all of whom were deeply flawed, so until I got to Anne McCaffrey in the mid-seventies, I wrote what I wanted to read, which was girl heroes. Even when there were more female heroes after McCaffrey, I still found things I couldn’t relate to. Most of them were gay or celibate, and I was neither. So I continued to write the kind of heroes I wanted to read. Which were straight, female, kid warriors. And then straight, female, kid heroes. And then heroes like my fans. But since there still aren’t enough female heroes out there, especially female kid heroes, that’s pretty much where I’ll stay. Is there something in particular that draws you to writing for a younger audience? The Protector of the Small series is your first where the heroine doesn’t have magic. What was the reason for this? I tried to do it with magic and discovered a couple of chapters in, if I had her training to be the first known girl knight, and added magic on top of that, there was no way I could cover page training and magic and make my page limit for the book. In fact, her page training as a girl was so complicated, I not only had to give up the magic, but I had to find a way to break off her first year, because it would take me a book at my then-page-limit to cover it. You’ve written for a broad variety of mediums, including comics and essays, as well as novels. How different is it to write for these various genres? It’s just a different way of looking at the world. Writing comics, you have to pare your spoken script down as far as possible. You have to set your dialogue as sparely as possible. You have to see in your head what you’re writing, and you have to keep it down to the bone. There’s also the fact that you’re working with an artist, and it’s a collaborative effort. You have to concede some of your ideas and accept some of their ideas, so you have a harmonious piece. It’s like working with another writer. You can’t force your partner to give up every one of their ideas. They have to have some of their ideas in there too. What you have at the end is not your work plus their work; what you have is a combined work, hopefully more than the sum of its parts. When it comes to non-fiction, writing straight articles, you still have to keep economy in mind, but you also have to keep rhythm in mind. It’s like fiction, in that you have to build up, but economy is still a factor. You have to make sure what you include is absolutely what your audience needs to know, and you have to check your facts very carefully. As such a prolific writer, are there characters or series that are your favorites? It changes depending on the day, on my mood, on what I’m writing. At the moment, my favorite is the Graveyard Hag. She’s so lovable! Do you have any advice for young people, and young women in particular, who are aspiring to be authors themselves? Keep writing. Don’t listen to advice that depresses you. If all advice depresses you, only listen to your agent and your editor. Don’t be discouraged if at first you don’t finish things. The more your write, the farther you’ll get, and the more you write, the more you finish things, and the more things you finish, the more things you’ll have to send out. And the more things you have to send out, the better your chances of getting work accepted. Or, as we say in my house, be too stupid to know when to quit. What do you want a reader to take away from your books after they’ve read them? What do you hope your books achieve? I hope that they take away that they can be whatever they make themselves into. That they can shape their own selves, their own future. That they can do anything they want to do. Emily Pate is a first year MFA student in UBC’s Creative Writing program. She is on the PRISM International Editorial Board and formerly a staff writer for the Western Oregon Journal. She has published poetry and creative nonfiction in Blending Magazine and The Northwest Passage, and is currently working on a comic book about young female superheroes, as well as her first novel. A quick scroll through Anne T. Donahue’s Twitter feed might leave aspiring writers feeling overwhelmed. After all, she’s written for MTV, Cosmopolitan, the Guardian, the Globe and Mail, Refinery29, Sportsnet, Nylon, and Paper Magazine, just to name a few. Her publication credits are remarkable, and the diversity of her subject matter? Impressive. 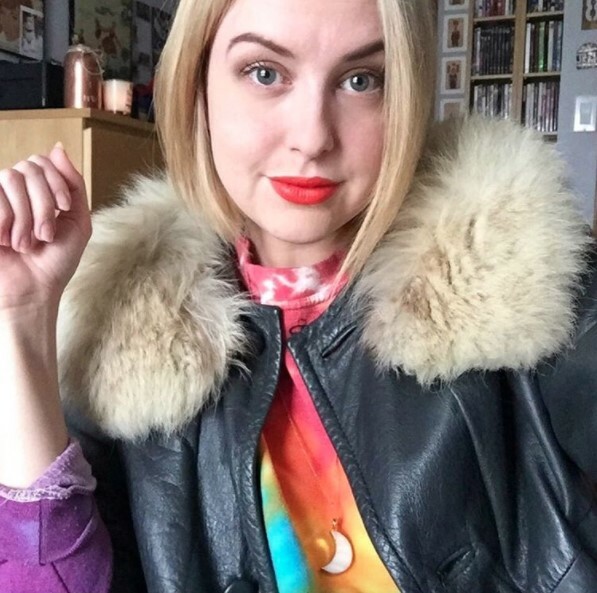 Originally from Cambridge, Ontario, Anne is a writer who admits to knowing way too much about The Great British Bake Off and holding a unique affection for Leonardo DiCaprio—see the hilarious Leo memes that accompany each of her newsletters. Her first book, Nobody Cares, will be published by ECW in September 2018. You can find her on Twitter @AnneTDonahue. Her work seems to be everywhere, and Anne succeeds in maintaining an active social media presence while also completing a degree, freelancing regularly, and writing a weekly newsletter for her followers. Despite her full schedule, I was able to get in touch with Anne to find out just how she does it all. Was writing always the career path you had in mind? Not at all. I went to Conestoga College for journalism, but dropped out when I was nineteen. Then I worked in a hardware store, at American Eagle, and at a bank. At the same time I was re-doing high school courses and aiming for a kinesiology degree which I planned to use as a pre-med. Then I failed math, so that dream died. Finally, I applied to Wilfrid Laurier for Communications/History and dropped out after a year once I started freelance writing. But even then, even when I was doing almost exclusively music journalism, I thought I’d end up writing TV or doing comedy or doing some semblance of what Tina Fey was doing at the time. I didn’t think I’d be writing the way I was now. I thought I’d eventually make my way into TV full time or movies or something. I remember thinking there’s no way I wanted to be a “freelance writer.” Now, I don’t think I could handle working full-time in an office.